Based in Aligarh, Uttar Pradesh we are counted amongst the superior manufacturers, exporters and suppliers of the Brass Laughing Buddha Statue. 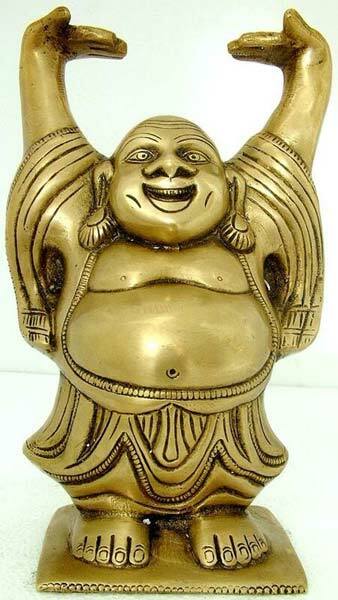 Laughing Buddha statues are usually associated with happiness and prosperity. It is believed that rubbing the stomach of the laughing Buddha statue would bring good luck and hence these statues that we offer are much in demand and very popular.